This is something we all were already in the know of. Well, it will be launching later this year. The update is more about the performance and stability. The update will be free and compatible with iPads and iPhones since 2013. If your device received the update of iOS 11, it will surely get the update of iOS 12. Well, we do have an issue with getting hooked on our favorite apps and screwing up at work. Not, anymore!!! The new feature will calculate your screentime of each app, how many times you unlock your phone and which is the app from where the majority of the notifications drop in. As per this, the user can set the timings to be invested in the app in a day. Warnings will also be given when the timing is about to end. Apple is also changing the notification channel. Notifications from one app are clubbed and yes they can also be managed from the lock screen. The DND feature of iOS will restrict the notifications to pop up on the lock screen at night time. The updates highly focus on making the use of macOS easy. For those with cluttered desktop, Apple is launching a new feature Stacks mode. This mode will place the files of a similar category at the top of each other. Apple is also adding a night mode for giving a lesser eye-straining screen time. Apple news, voice memos, and ability to control smart home products through mac are being added to the Mojave. The macOS store has also been revamped and built from the scratch Office 365 and Adobe software are easily and directly downloadable along with the product pages being redesigned. Even though Siri was the first voice assistant, compared to its competitors Alexa and Google assistant, it has lagged behind. But, not anymore. Siri has some serious improvements. The revamped Siri gives you the suggestions on your iPhone or Apple watch tracking down your regular activities. Say, for example, a suggestion of a fitness app when you hit the gym at your regular time. Siri can now also have the ability to create their own shortcuts for multiple apps just like Google Assistant and Alexa does. With the Siri improvements in iOS 12, there are similar updates in the WatchOS as well. Now, the Siri can be activated just by raising the watch over your face. WatchOS 5 is also getting podcast support and payment can be made right through the notification screen with Apple Pay. 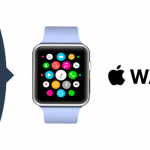 The new walkie-talkie mode will allow you to talk to your watch owning friends. Tap and record the message and send it to your friends. The watch also keeps a track on how many steps a runner is taking per minute. Well, the updates for tvOS were not that remarkable but here are they. Apple said that the subscribers of the Charter Spectrum cable can also now replace their boxes with the Apple TV. Apple also says that its streaming platform would now be certified by Dolby Atmos and Dolby Vision in the coming days. Also, the availability of 4K HDR will be more. The options for TV screen savers were also displayed by the Apple. Also, the need to remember the password for tvOS will be eradicated with the integration of automatic Autofill from iPad and iPhone. This means the user can automatically login to the apps they already use. Even the Apple TV remote will be added to the iPhone and iPad apps. 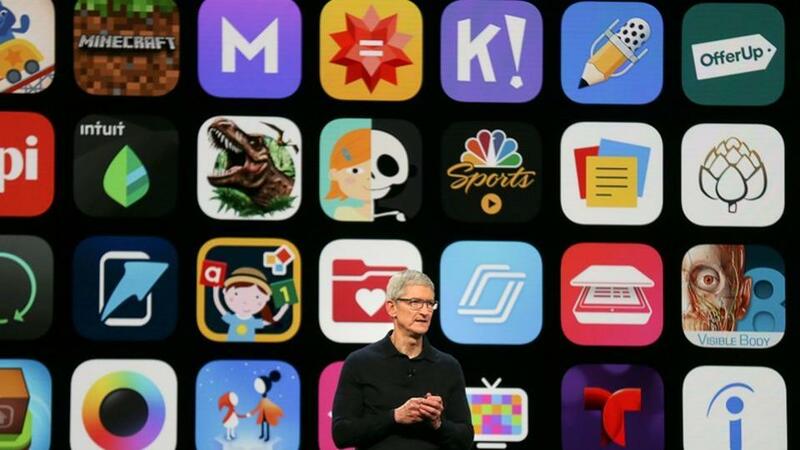 ARKit 2 was one of the major focus of the WWDC. It is a toolset for developers to create AR experience for their mobile apps. Apple reveals that iOS 12 would have better face tracking and also allows the users to merge multiple users using several iPhone or iPad to see the same AR view. A newer file format USDZ is also designed by the Apple specifically for AR. An intuitive app has also been launched named ‘Measure’ which makes use of the iPhone’s camera to scan any item and calculate its size.